Rubenerd: A Firefox phone? Yes please! A Firefox phone? Yes please! Reading Mozilla's announcement of their new mobile OS had me quivering in my seat with excitement! Don't read to far into that. Industry support is growing behind Mozilla’s plans to launch a new fully open mobile ecosystem based on HTML5. The operating system, which Mozilla today confirmed will use its Firefox brand, will power the launch of smartphones built entirely to open Web standards, where all of the device’s capabilities can be developed as HTML5 applications. Device manufacturers TCL Communication Technology (under the Alcatel One Touch brand) and ZTE today announced their intentions to manufacture the first devices to feature the new Firefox OS, using Snapdragon™ processors from Qualcomm Incorporated, the leader in smartphone platforms. 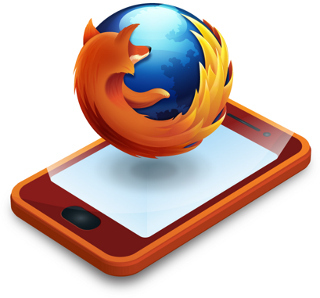 The first Firefox OS powered devices are expected to launch commercially in Brazil in early 2013. Terms like "announce" and "expected to" trigger my vapourwear fear engine, but if these folks are serious and deliver something, I'll be onto it faster than a gecko sticking to a wall. I've been using Firefox since the Phoenix days, the Mozilla Application Suite before that, and Netscape before that. My pseudo-netbook ThinkPad runs SeaMonkey with my browser (which is the UI to my university note taking wiki), RSS feeds, email, newsgroups, SQLite interface, Sunbird calendar, contacts and tasks. I've run Thunderbird and Camino. I've often joked on Twitter that SeaMonkey and Firefox are my OS, and that my Linux, BSD and Mac boxes largely exist just to support them running! If I could have this stack on a phone and have it sync reliably (something I can't do with Mozilla stuff and my iPhone without going through Google first, which I'd rather not), I would serve the developers in… unspeakable ways. By which I mean make tea. Originally, Android was sold as such a device. We were told HTML5 would be powering Android devices, and that native apps were just a stop-gap measure to compete with iOS. 5 years on, it doesn't seem like native apps will be going anywhere any time soon. It's perhaps a little ironic that it took Mozilla to deliver an HTML5 based mobile platform, rather than one being released by arguably the most influential internet-based company! Speaking of Google, it's also no secret that Mozilla derives much of its funding from its partnership from Google for search. This phone could allow for some desperately needed income diversification, if it comes to pass. Older post → #Anime Mugi the Birthday Vulcan!